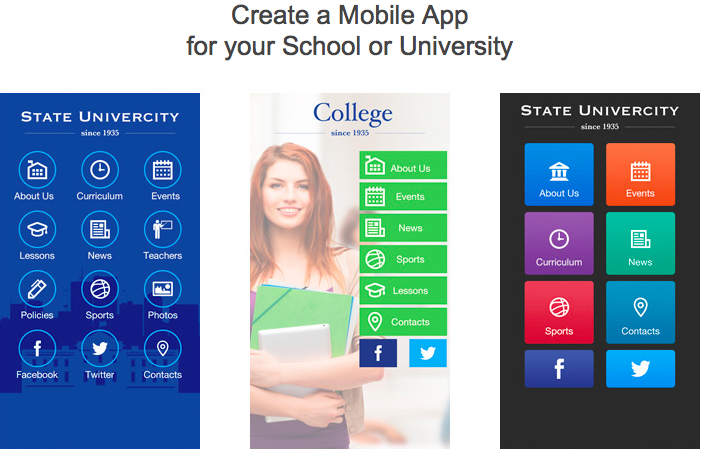 We are glad to let our users know that iBuildApp platform is used at universities and colleges in USA to teach students how to build mobile apps for iPhone and Android. Today we are featuring David Reader who is a Professional-in-Residence in the Department of Communication and Journalism at Suffolk University. To briefly summarize, I am using iBuild app in some of my Communications & Journalism classes at Suffolk University to provide the students with an easy introduction into the world of interactive storytelling and mobile development. As more and more media outlets are including mobile versions of their content, the ability of our students and new media professionals to use products like iBuildApp to author rich media has become an essential skill. IBuildApp is the right tool for introducing those skills. There is a Common App for first-year admission and a Common App for transfer admission. Both versions allow the application to be filled out once online and submitted to all schools with the same information going to each. Once the common app is submitted to a college online, it cannot be changed for that college; the student must contact the college directly if he or she wishes to correct an error or provide more information. The Common App also allows the student to submit and track other components of his or her application such as supplements, payments, and school forms.